I want to give you and update on what is happening at the gallery. We have an excellent Group Exhibition up through the end of the month. I have to single out a painting from the August show by Gregory Prestegord. It is a fantastic urban landscape depicting the Reading Viaduct. 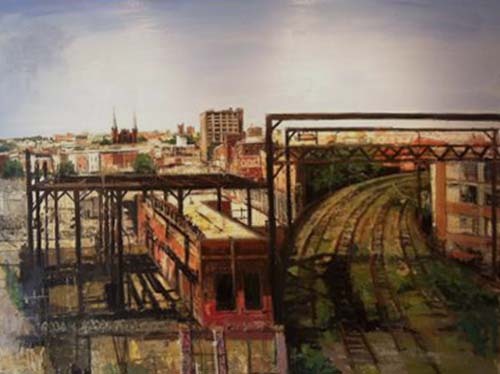 This abandoned train trestle has been inspiration to many Philadelphia artists. It also reminds me of other great urban train related paintings like John Sloan’s. Unfortunately for you the painting has been sold. And last but not least, F.A.N. Gallery will be launching a new website as of September 1st.